In Ghostwalkers, a gun-for-hire, literally haunted by his bloody past, comes to the struggling town of Paradise Falls, where he becomes embroiled in a deadly conflict between the besieged community and a diabolically brilliant alchemist who is building terrible new weapons of mass destruction...and an army of the living dead! LIMBUS, INC. is a shadowy employment agency that operates at the edge of the normal world. LIMBUS's employees are just as suspicious and ephemeral as the motives of the company, if indeed it could be called a company in the ordinary sense of the word. In this shared-world anthology, five heavy hitters from the dark worlds of horror, fantasy, and sci-fi pool their warped takes on the shadow organization that offers employment of the most unusual kind to those on the fringes of society. In "The Trouble", a direct sequel to the Pine Deep trilogy, Malcolm Crow thought he had destroyed the evil that had terrorized his town for 40 years. But a new series of brutal murders forces him to prepare for another battle with the forces of darkness. A new master of terror reigns supreme, and in his most horrifying novel yet, the clash between good and evil explodes in an apocalyptic showdown few will survive. From a funfest to a bloodfest…. Each year, the residents of Pine Deep host the Halloween Festival, drawing tourists and celebrities from across the country to enjoy the deliciously creepy fun. Those who visit the small Pennsylvania town are out for a good time, but those who live there are desperately trying to survive. For a monstrous evil lives among them, a savage presence whose malicious power has grown too powerful even for death to hold it back. Only a handful of brave souls stand against the King of the Dead and a red wave of destruction. Daylight is fading, and a bad moon is rising over Pine Deep. Keep watching the shadows. 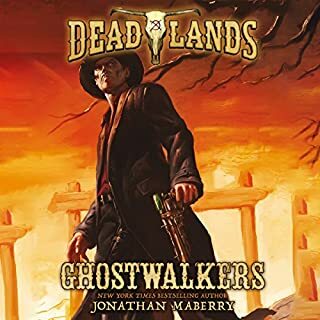 Jonathan Maberry is the multiple Bram Stoker Award–winning author of Ghost Road Blues, the first of a trilogy of thrillers with a supernatural bite. A professional writer and writing teacher, he has sold more than one thousand articles, seventeen nonfiction books, six novels, and two plays. Keep chilled: listen to more in the Pine Deep trilogy. 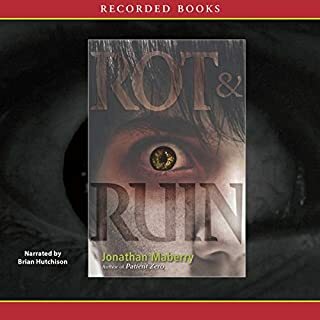 ©2008 Jonathan Maberry (P)2011 Blackstone Audio, Inc. It all comes together in Book 3! 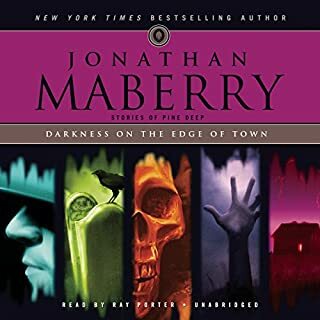 Well, having invested several weeks listening to Jonathan Mayberry drag the reader through a rough first volume in Ghost Road Blues, and begin to mature as both a writer and storyteller in Book 2, Dead Man's Song, he finally hit his stride in Book 3 of The Pine Deep Trilogy, Bad Mon Rising. Not only is the plotting much more fluid but the overall storytelling has greatly improved since Book 1, and Mr. Mayberry throws every gruesome thing he can come up with at the reader as he brings all the warewolves, vampires of various kinds (including the zombie-esque "dead heads") and some new characters that liven up the storyline into the mix to make for a much faster paced and much, much more entertaining end to his trilogy of novels. I've beat on Mr. Weiner, the reader, in the previous two volumes' reviews for his stilted way of interpreting the story and it's characters, so I feel obliged to give him props in this final book as he seemed to have gained a better idea of how to read horror fiction. Again, fair warning: when I used the word "gruesome", I meant it. 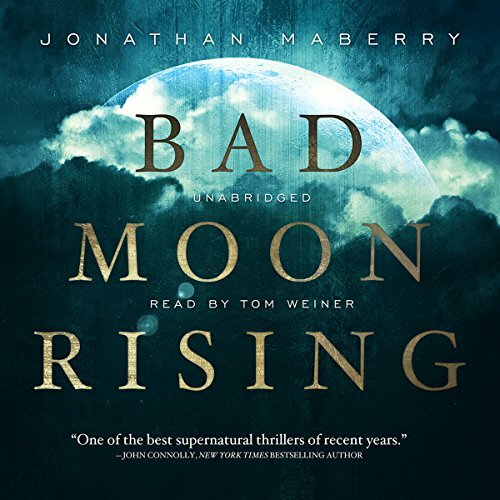 Even for horror fiction, which I've been reading since my youth, I don't think I've read/listened to a more overall dark and bloody story than Bad Moon Rising, not even in all the zombie fiction I read. No readers, this one is downright, well, gruesome! 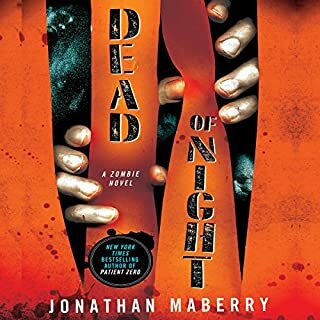 I hope that one day Mr. Mayberry will revisit Pine Deep now that his writing abilities have found their stride in the horror & thriller genres represented in the Joe Ledger series. So if you have made it through Books 1 & 2 of The Pine Deep Trilogy, you will be rewarded with this final installment. Just don't listen while eating. Never while eating. Would you listen to Bad Moon Rising again? Why? Yes- characters are intriguing and story is compelling. What other book might you compare Bad Moon Rising to and why? You know that is really hard... I like the fantasy/sci-fi/horroresque novels and the way Jonathan writes and the characters he develops are very unique! I just like his style! Which character – as performed by Tom Weiner – was your favorite? Jonathan does such a good job with his character development that I found myself getting internally angry with Ruger and Vic Wingate! Great book... I highly recommend the Joe Ledger series!!! Climax of the Trilogy! lights, camera, Blood. Finally, the conclusion to the pine deep trilogy. The first two books left alot of open questions, here is where they are all answered. Great job Mr Maberry. i would love to see Joe ledger and echo team together with arcklight come to this spooky little town and join forces with the law against a nest of red knights . thank you Mr. mayberry for another great story . Bad Moon Rising is a great and terrifying finale in the Pine Deep Trilogy. Things go from bad to worse for our band of heroes. Vic and Ruger work to bring their horror to Pine Deep on Halloween. If they succeed, then Pine Deep will be gone and possibly the rest of America. The stakes don't get much higher for Val, Crow, MIke and the gang, if they lose, their fates will be worse than death, even success could have consequences. 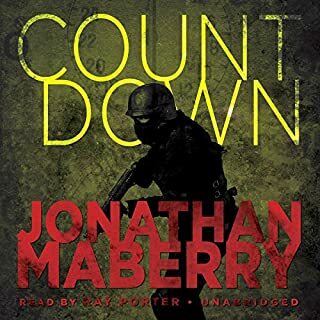 What I really like about this book is how Jonathan Maberry has grown as a writer from Books 1 and 2. He has developed his storytelling and it really shows in this story. From the characterization to the action, Maberry brings his passion for the characters and story. Tom Weiner delivers a brilliant performance full of passion, fury and heart. He really goes all out to deliver a great performance that the listeners will be treated with. Villains are villains and while characterization may not feel subtle, it works and there is some subtlety to knock you off your guard. Our heroes are not perfect either and we get to experience their love, loss and triumphs. If you've invested in book 1 and 2, this is a no brainer. 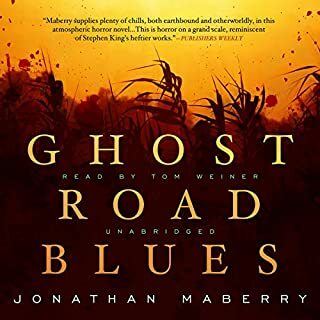 If you haven't started the series, start with Ghost Road Blues and keep listening. What an adult Halloween story!! I really liked this book (and the trilogy overall). The twists and turns are awesome. The characters are developed wonderfully. There were several times I could not stop listening. When I figured that I had it down, it changed. There is a mass amount of physical action, and love and childhood dreams, to adult fears and young teen triumphs. It does run the gambit of evil creatures and I am not a fan of family violence, but it fits the story. A very good listen and worth the time and money. Tom is just a perfect narrator for this book and is someone I want to hear more from. His voices and timing help to solidify the characters. I wish I could narrate a story half as well. If you have ever walked some deep dark woods alone....this is a book for you. The narration is fantastic! I loved these characters and the whole development of the world, I just felt a little let down by the ending. So much evil just...goes away?